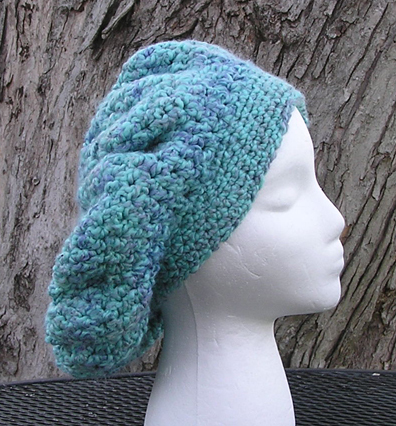 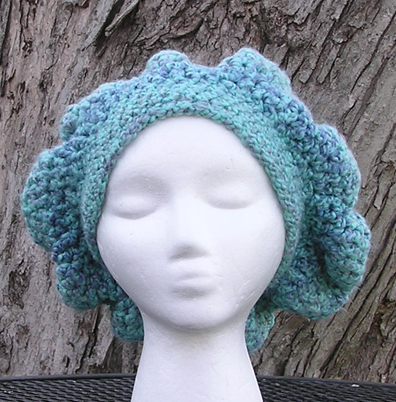 The Waterfall Slouchy Crochet Hat is made with an easy care soft textured yarn in painterly shades of sky blue and violet blue. 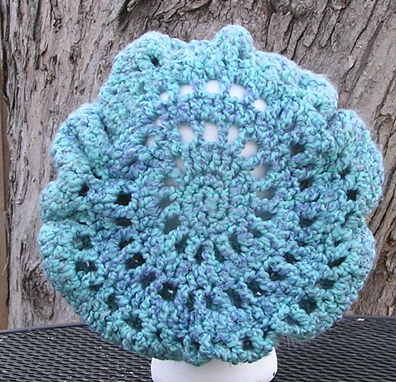 Yarn composition is 98% acrylic, 2% polyester which can be machine washed & machine dried. 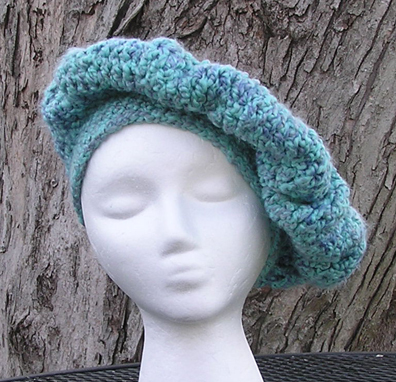 This is a versatile hat which can be worn in a variety of positions such as a snood or offset to the side in a classic beret style.